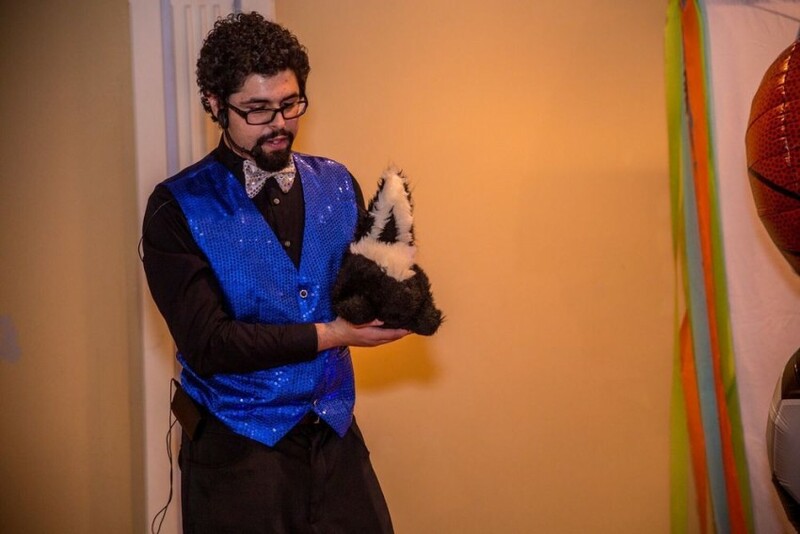 Let us entertain your guests! 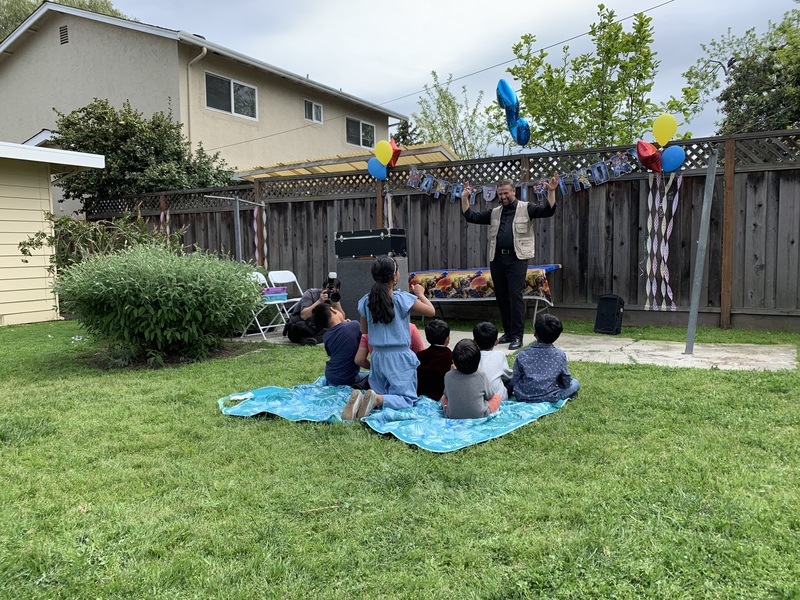 We love to make kids laugh and can provide entertainment for your next child's birthday party, family event or holiday gathering in the Bay Area. 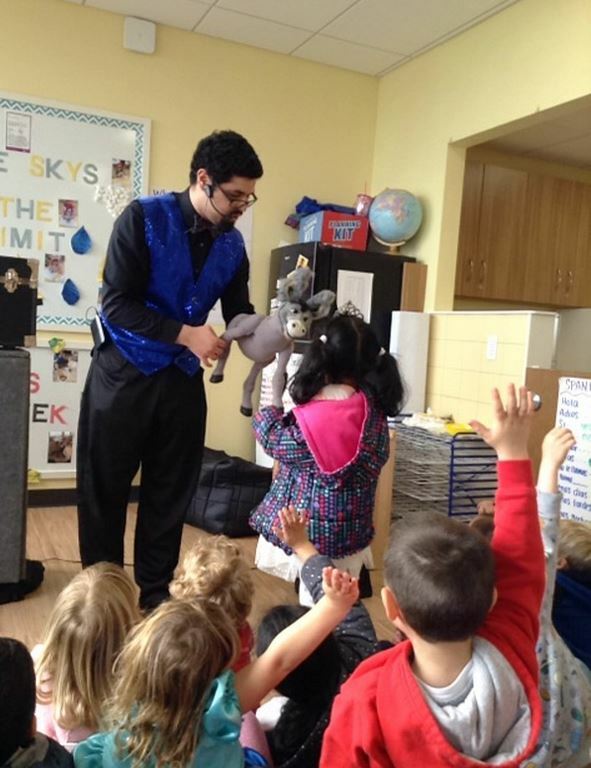 When you book your party entertainment with Happy Bright Kids you get a funny, engaging and fully interactive show! 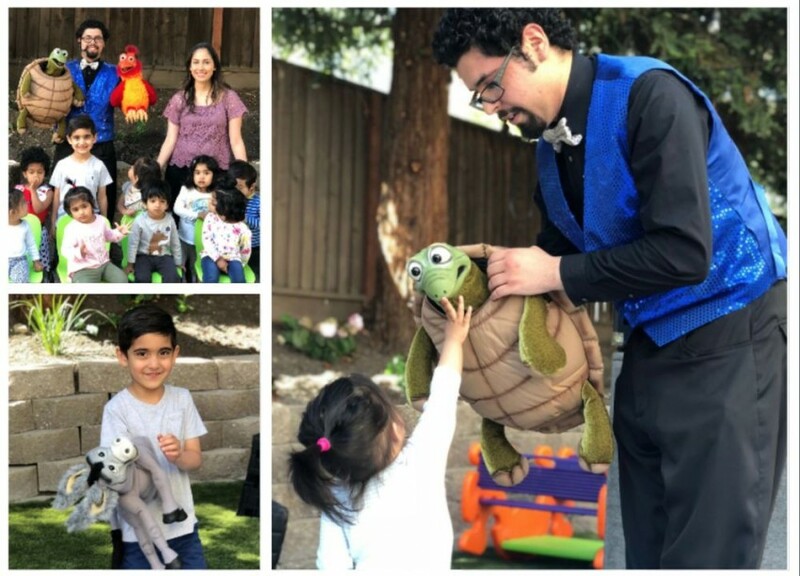 Our variety packages feature a 30 minute puppet show with a little bit of magic and lot of humor, followed by balloon twisting for each child at your party. Or chose an Expert Performer package for a longer, more in-depth story line with our Majestic Puppet Theater or high level ventriloquism. Entertaining, Friendly and Extremely Professional. This was for a small group of kids in our backyard. His setup required just a power outlet. He was right on time. 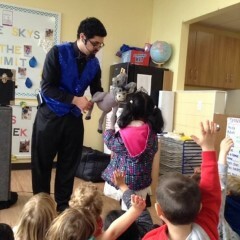 Kids found the act entertaining and adults too were completely engrossed. Balloon twisting was great. Highly recommend for party entertainment! Thanks for making the day special for my kid and his friends. 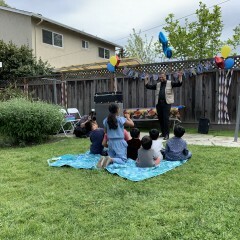 Thank you again for having me as part of your special celebration, it was my pleasure to entertain your son and all of the other friends and family! Your kind words are very appreciated, and I wish you all the best! 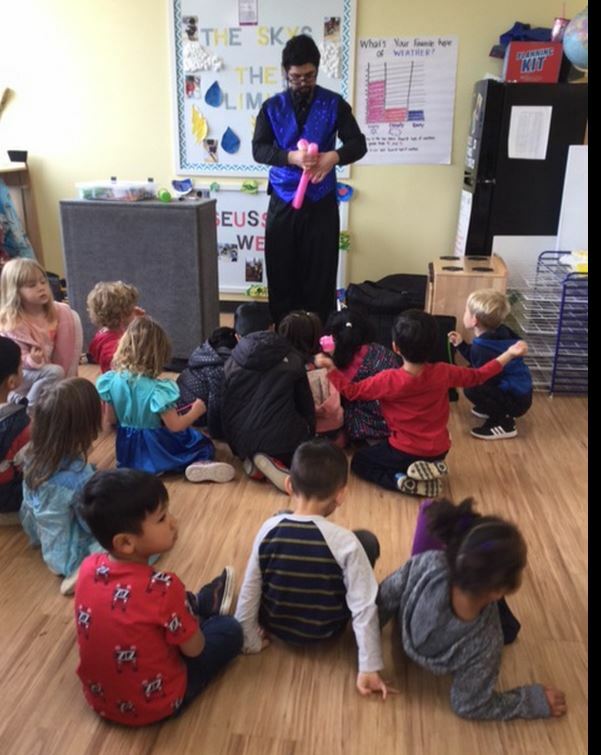 I booked their show for my daughter's 5th birthday at her daycare. I was consistently contacted by the vendor to ensure all details had been worked out including arrival time, set up requirements, theme for show puppets and balloons. 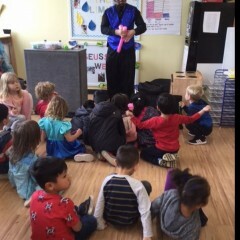 I was not present at daycare for this show but my daughter had nice things to say and seemed like the other kids enjoyed it too. 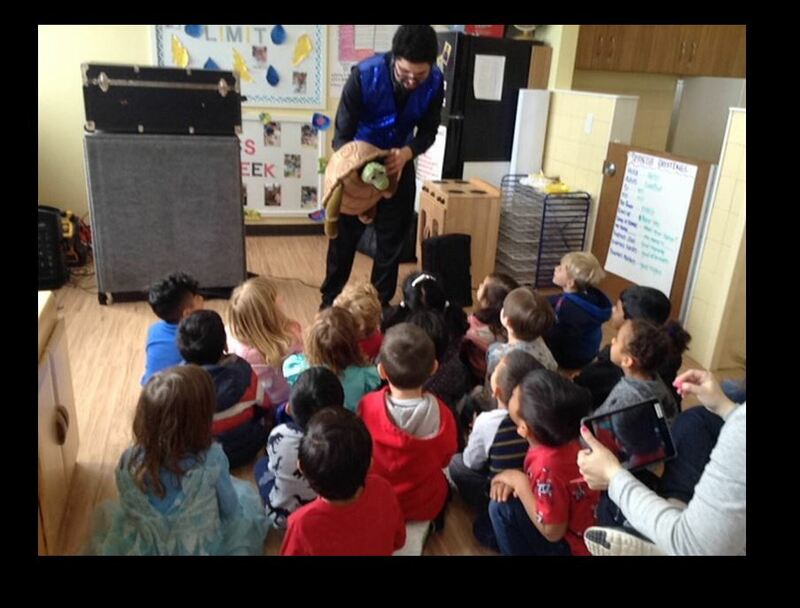 I may have been confused that this was a full puppet show, as per the teacher it is actually meeting various animal puppet characters who interact with the kids. She felt that while the kids enjoyed it, maybe this was designed for a younger audience (this class is 4.5-5 yr olds). I believe there was some magic built in too. Good Performance for the young ones and the young at heart. We had a mixture of ages in our party. The girls, mostly third graders (ages 8-9), were very much into the show. 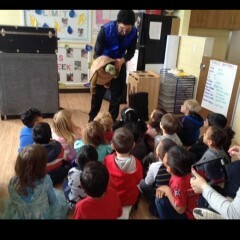 The boys, first graders (ages 6-7), were all "too old" for puppets. I suspect a bit of peer pressure had to do with their commentary. Most of them were more keen to stick with some of the other entertainment in the house. On a side note, I found it fascinating that with the wide array of balloon figures available (there were over 10 different choices), the kids were all stuck to 1-2 styles. Kids will be kids! In other extra-curricular matters, I had to call Happy Bright Kids to confirm the morning of the event. I was expecting a call 1-2 days before the event, which did not happen. Other than that, they arrived on time, set up on time, provided all of the services as agreed to. Overall, the services provided were great. I was very happy with how our birthday bash turned out, in no small part to the contribution of Happy Bright Kids. I would not hesitate to use them again! I only wish we had more time! Thank you so much for keeping a large group of children engaged long enough for parents to enjoy their food while it was hot! Looking forward to working together again in the future. Thank you Happy Bright Kids for a great show! I wasn’t expecting such an elaborate theater with exceptional sound system. Everyone at the party loved the show!! I highly recommend Happy Bright Kids. 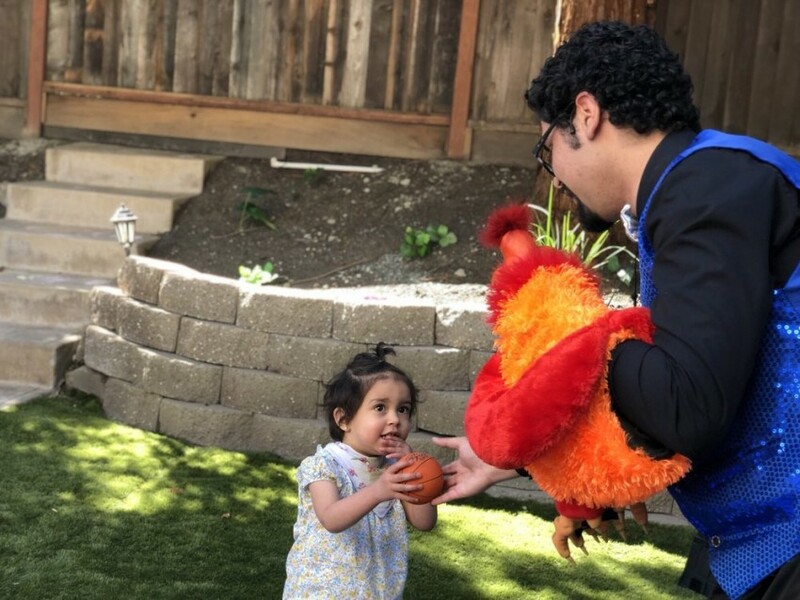 Thank you again for all your effort and making my daughter’s first birthday fun and memorable!